Providing a lightweight and breathable upper, the Mizuno Break Shot Ex All Court Tennis Shoes are ideal for pretty much any court games but perfect for tennis. A non-marking rubber sole and grooves under the forefoot provide improved response for multi-directional movements. The Mizuno Break shot Ex All Court Tennis Shoes are lightweight court shoes that improve performance. The shoes feature a Dynamotion Fit System, interacting with the movement of the foot, relieving stress and avoiding distortion of the shoes. The Air Mesh upper allows excellent airflow around the foot, whilst the synthetic overlays provide added durability and support. A low profile compression moulded EVA (CMEVA) midsole provides a high degree of cushioning and support, dispersing shock and impact forces away from the feet and ankles, ensuring the ride is more comfortable throughout. A high-grade removable insock is also included in this shoe's midsole to offer extra cushioning and comfort which is ideal for those longer game days. An extremely durable carbon rubber know as X10 is used on the outsole which allows for longer wear in high impact areas and provides more traction during the heel strike phase of the gait cycle. Specifically engineered diagonal grooves known as D-Flex grooves have been built into the shoe to allow the player to turn at maximum speed and power by efficiently transferring natural body movement and change in direction. DynaMotion Fit System - Relieves stress and avoids distortion within the upper. Air Mesh - Allows air to permeate providing breathability. 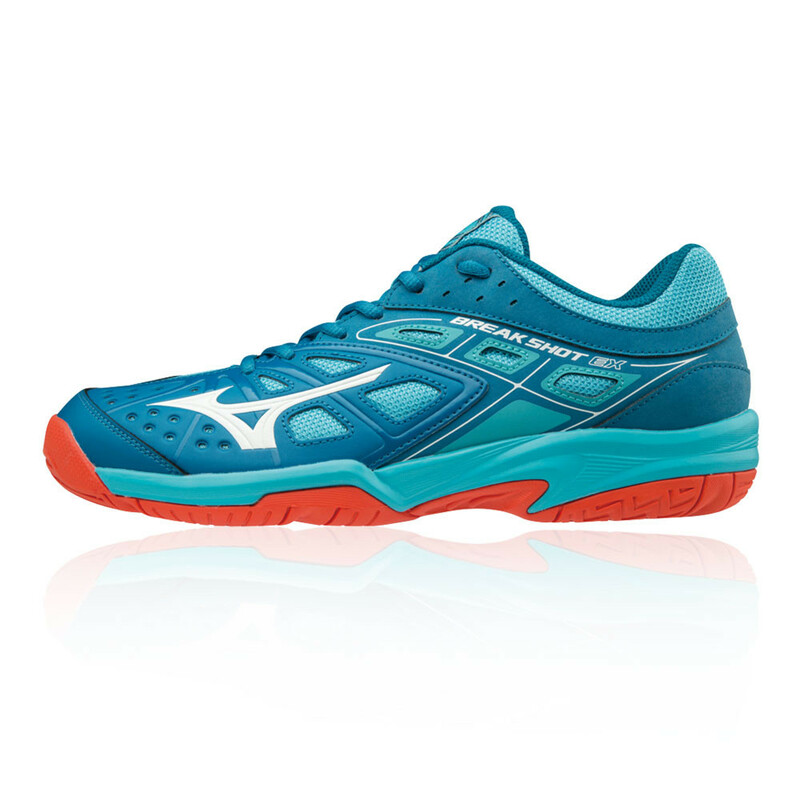 Compression Moulded EVA Midsole - Provides a high degree of cushioning and support. Removable Insock - Offers extra cushioning and comfort. 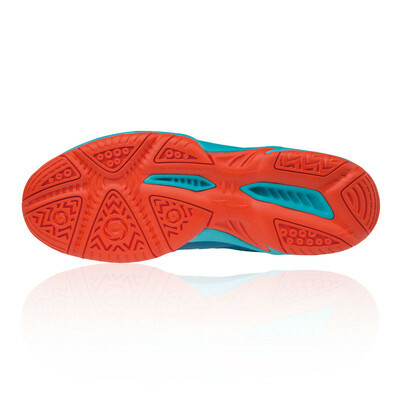 X10 outsole - Allows longer wear in high impact areas. D-Flex Grooves - Allows the player to turn at maximum speed and power.